Band to Join, Bass Guitar, Drums, Other Percussion, Keyboard, Background Singer, Harmonica, Banjo, Mandolin, Fiddle, Dobro, Steel guitar, Upright bass, Ukulele. Band practices 1 a week. Workshop at home everyday. 07 - Kiss Me In The Rain Radio SingleKiss Me In The Rain - Radio Edit is the shortened version of Kiss Me In The Rain. This song is about being in a relationship and working out their problems. 02 - Show MeBucket List is Mary Anne Message's Debut Album. Her songs are inspired by her own life events. Smooth tones laced with grit, it's where Shania Twain meets Pat Benatar or Carrie Underwood morphs into Joan Jett. Enjoy! 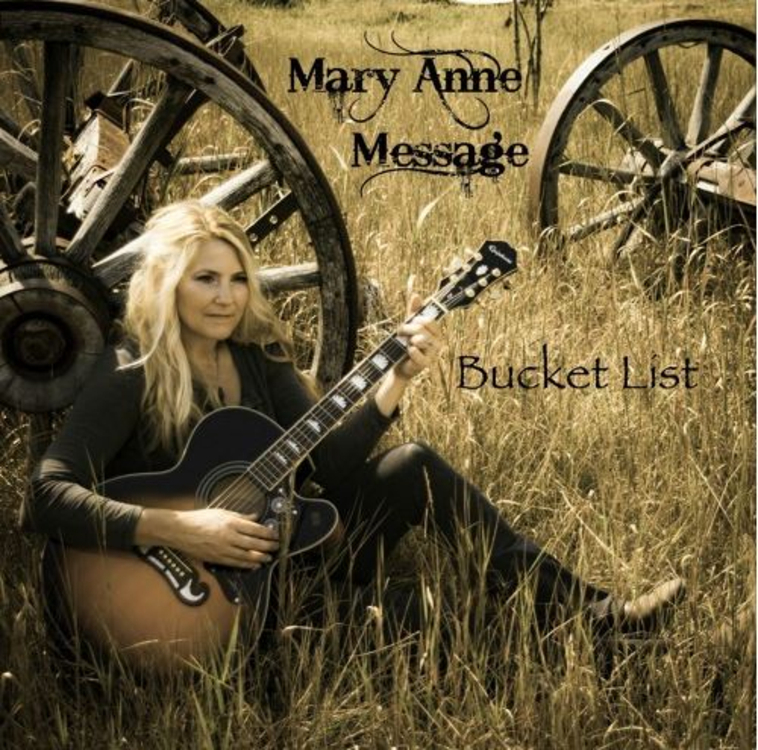 03 - Kiss Me In The RainBucket List is Mary Anne Message's Debut Album. Her songs are inspired by her own life events. Smooth tones laced with grit, it's where Shania Twain meets Pat Benatar or Carrie Underwood morphs into Joan Jett. Enjoy! 04 - Sweet NoiseSweet Noise is a song about remembering the good times and the good emotions regarding a lost loved one. 05 - Smile TodaySmile Today is about finding love as a single parent and getting married in the end. 06 - Tall Dark & ChevyWhere Dreams don't make any sense but you love to re-dream the dream!